The quick & easy way to beat an egg! Breakfast & baking may never be the same again. 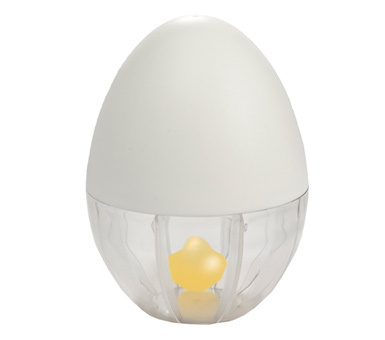 The Egg Scrambler offers a fast and easy way to beat an egg. 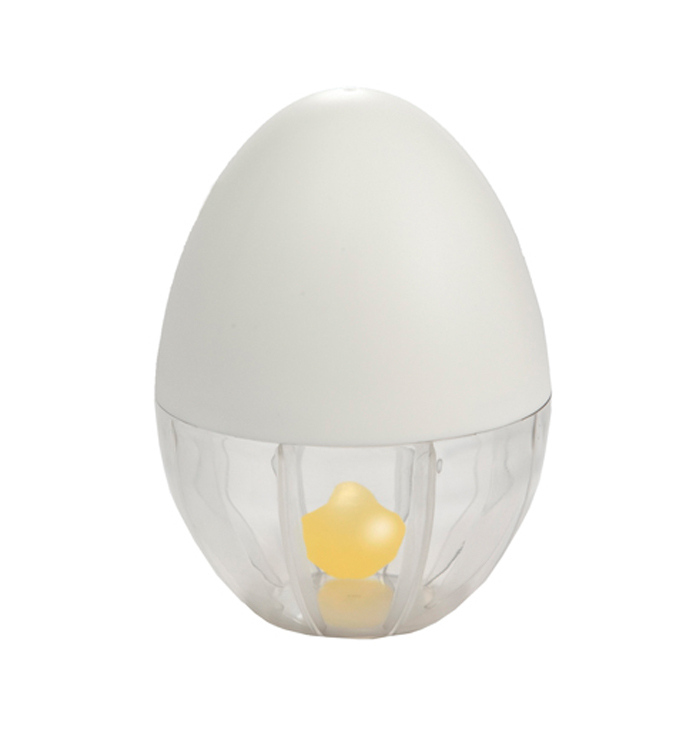 The small self-contained egg look-alike is all you need to quickly beat up to 3 eggs at once. 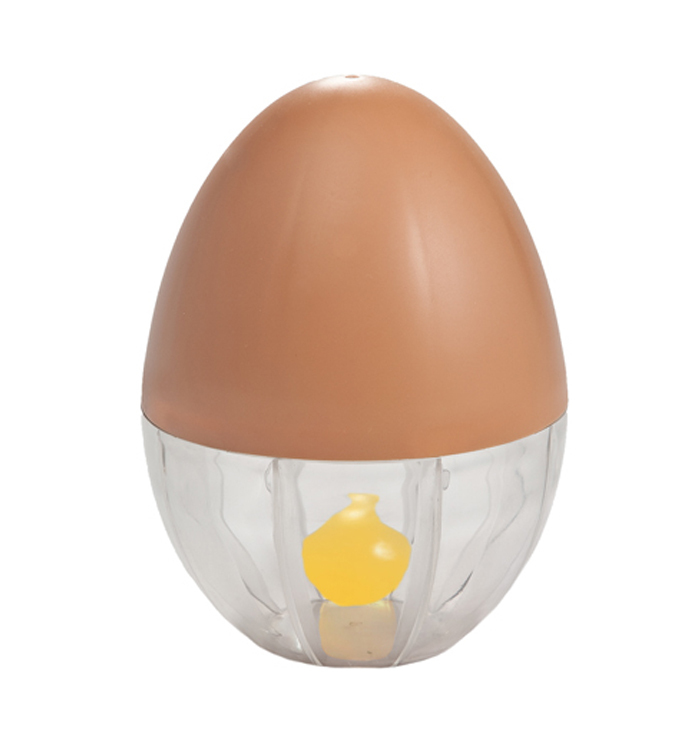 Just crack your egg, pour into the Egg Scrambler, add the agitator ball, shake for a few seconds and you’re done. Then just pour the beaten egg into your frying pan or use for baking. No mess! 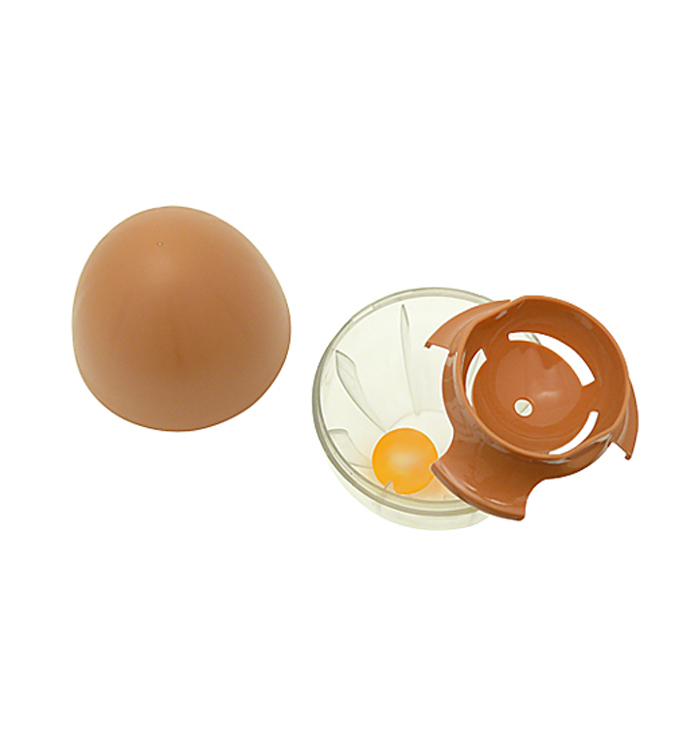 The Egg Scrambler also features an egg-cracking edge and a removable egg separator. Made of plastic, it is dishwasher safe and BPA-free. Diameter: 3.5", height: 5". Packaging: Printed band. Hang card available. Material: polypropylene and SAN. BPA-free.